Why Do I Have an Itchy Throat? A scratchy and itchy throat is quite common ailment especially in the allergy season. There is nothing serious about it, if treated on time. But that continuous itching and swelling of throat can be quite disturbing when it accompanies other symptoms like—runny nose, itchy eyes, troubled eating and speaking ,etc. There are a number of reasons that may cause this scratchy feel. (a). Viral infection: Itching of throat that results from a viral infection tends to infect your upper respiratory tract. Itch is accompanied with soreness of throat. Flu, common cold, measles, mumps and chickenpox are the most frequent viral ailments that may cause an itchy throat. Note: Avoid aspirin for curing a viral infection. (b). 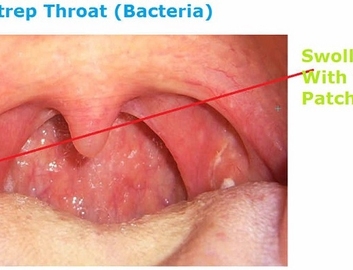 Bacterial infection: Also known as strep throat, bacterial infection tends to affect your tonsils (common among kids), leaving them with white streaks of puss. Other symptoms include swollen tonsils, irritation of throat and smelly mouth. Bacterial infections are normally cured by antibiotics. A prolonged bacterial infection can turn into chronic pharyngitis. That’s a severe condition that may result in fever and inflammation of throat. This must be treated after consulting an ENT specialist. (c). Fungal Infection: A fungal infection is also known as oral thrush. Candida or some other type of fungi may cause it in throat or mouth. The main symptoms include—pain while swallowing and fever. Diabetic people with lower immunity are more likely to be the victim of it. For treating it, pills containing nystatin are the best recommendation. (d). Croup: It’s a common throat infection among children. It may result from both viral and bacterial exposure. Other symptoms besides itchy throat include severe bark-like cough. Mucosal membrane is a substance that coats the inner walls of our throat. This membrane consists of nerves. If irritated when exposed to polluted air, unsuitable food, alcohol, caffeine and cigarette, this substance dries out leaving you with scratchy throat. Continuous intake of water seems the only immediate solution. This may cause irritation in throat when the contents lying deep in your stomach float towards your esophagus. Sour burps and heartburn are the most common symptoms with it. Bronchial and gastric endoscopy may cause soreness and itch for a few days after the treatment. There are medications (cough syrup, painkillers, antibiotics, anti-fungal, antihistamines) available for an irritated throat. But each of these medicinal methods comes with some side effects. So, don’t try to intake them on your own. This must be prescribed by the doctor. Besides that, numerous home remedies are there to help you out. Drinking water is recommended not only for getting rid of that dryness but water also helps in overcoming the dehydration resulted from excessive secretion of bodily fluids (runny nose, sweating from fever). Gargling with warm water with salt added in it, is considered best for cutting that layer of phlegm that causes irritation in your throat. Repeat the same process for 2 to 3 times in a day. For gargling, Listerine too is a proven trick. Eating honey, one tbsp. each morning is really good for an itchy palate. Prefer raw honey. Note: This is not a suitable option for the infants under 12 months. Don’t waste your time in thinking ‘why does my throat itch’, opting for honey, ginger and lemon tea is one of the best option to go with. Intake it three times a day, minimum. To get rid of the allergy buildup, particularly resulted from pollen, you are advised to clean your tongue and the back of the throat each time you brush your teeth. One of the oldest and most recommended cure is a regular intake of warm milk with one tsp. of turmeric in it. Herbal candy (horehound) helps in soothing the itch. Hot lemonade with the addition of honey does the trick. Lastly, lozenges are proven to give a timely relief to the throat itch.